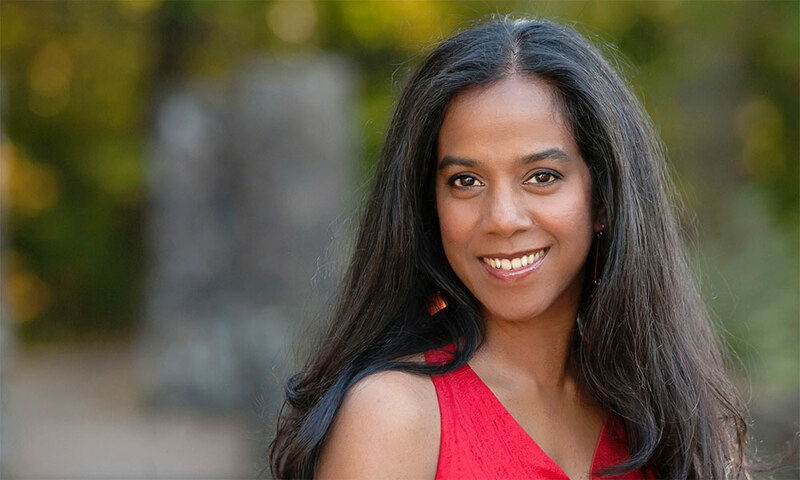 Sri Lankan-American writer Ru Freeman has been named the 2014 recipient of the Janet Hedinger Kafka Prize for Fiction, presented by the Susan B. Anthony Institute for Gender and Women’s Studies at the University of Rochester. The annual award will be given for Freeman’s poignant novel On Sal Mal Lane, which has received acclaim from The New York Times Book Review, USA Today, People Magazine and The Boston Globe. Freeman will receive the award and $7,500 prize on Thursday, Oct. 23 at 5 p.m. in the Wells Brown Room of Rush Rhees Library on the University’s River Campus. The event is free and open to the public. As part of the award ceremony, Freeman will give a reading from the novel and she will sign copies of her book during a reception after the event. On Sal Mal Lane (Graywolf Press, 2013) was selected for the University’s Kafka Prize by a panel of three reviewers from among 121 nominations. “In this haunting novel of a Sri Lankan neighborhood in the years leading up to the country’s civil war, Ru Freeman explores the interactions, small events and increasing national tensions that gradually transform life on Sal Mal Lane,” writes Kathy McGowan, chair of the Kafka Prize committee. Freeman is a freelance journalist, speaker, teacher, and activist. Her creative writing has been featured in VQR, Guernica, and World Literature Today, and she blogs for the Huffington Post on literature and politics. She is a fellow at the Bread Loaf Writer’s Conference, an artist in residence at Yaddo and Hedgebrook and a fellow at the Virginia Center for the Creative Arts. Her first novel, A Disobedient Girl (2009), and On Sal Mal Lane were long listed for the DCS prize for South Asian Literature and translated into multiple languages, including Italian and Hebrew. The University’s Janet Heidinger Kafka prize recognizes an American woman writer whose book-length work has been published in the previous year. Previous winners include Anne Tyler, Ann Patchett, Ursula K. Le Guin, and Toni Morrison, all of who won the award before becoming famous for their prose. The award honors Janet Heidinger Kafka, a young editor who was killed in an automobile accident as her career was beginning. Kafka’s friends and family created the endowment that supports the award in memory of her high literary standards and personal ideals. This year’s selection committee was led by McGowan, education and women’s studies librarian at the University’s Rush Rhees Library, with Terry Platt, professor of biochemistry and biology at Rochester, and Katherine Manheimer, associate professor of English at Rochester.